Join us for an evening to explore more about the fascinating, ancient science of Ayurveda. Said to be the 'sister science' of yoga, Ayurveda’s holistic and integrated approach to health will allow you to reconnect with your original self and so help you to remain energised and centred. In this free evening workshop you'll have the opportunity to meet some of Dru's health experts as well as discover yoga and Ayurveda tools and techniques for you to take home and apply in your daily life. Totally optimise your health and wellbeing on every level. 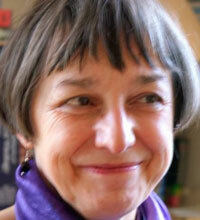 Janey worked as a GP in the NHS for over thirty years. She has cared for people with every kind of complaint, and she has been fortunate to be able to support many people through the health challenges of the different stages of their lives. Her special interests lie in exploring how the mind and body interact, and particularly the ways in which anxiety and panic affect every aspect of health. Janey was the lead doctor in her practice for women's health, and she has taught junior doctors throughout her career. Janey's emphasis has been on helping people to understand the deeper reasons behind ill health, and to develop compassion. Janey qualified as a Dru Yoga and meditation teacher in 2008, and regularly runs classes in both Dru Yoga and meditation, as well as running classes for doctors, helping them both to manage their own stress and improve their health, and to understand the value of encouraging their patients to try yoga. Janey has recently been exploring Ayurveda, which together with an understanding of yoga, enables her to give much more specific and focused advice about diet and lifestyle.